It happened in the midst of an ordinary day. I'd seen my patients, and was in the car rider line picking up my kids from school. I was toward the end I'd the line because I had waited to collect some girl scout cookie money from a few other moms. In the midst of that, it POURED! 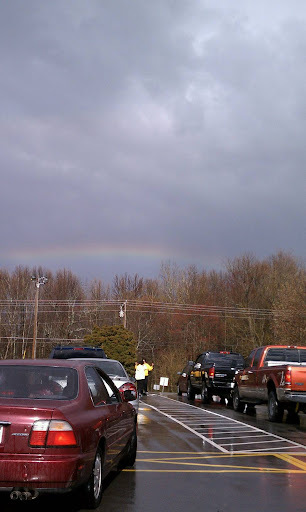 Above the trees, behind the elementary school staff shown a beautiful rainbow!